Edited by VokialBG at 12:00, 28 Dec 2008. As you see by reading the title, this thread is created for software, used by modder for creating different modification in - textures, scripts... etc. The thread aim to be software list, where modds give links (screens, descriptions...) of the programs they like and use in practice. I'll classify your suggestion for the list in different categories - image and texture, icon, script editing (I'll add more if needed). Finally we'll have useful list useful for newcomer in modding and for every one who want to try something new. Its best (but optional) if you post screen, and authors web. Very simple program for .DDS converding, good for fast alpha exporting. The free Photoshop, great program for image editing. 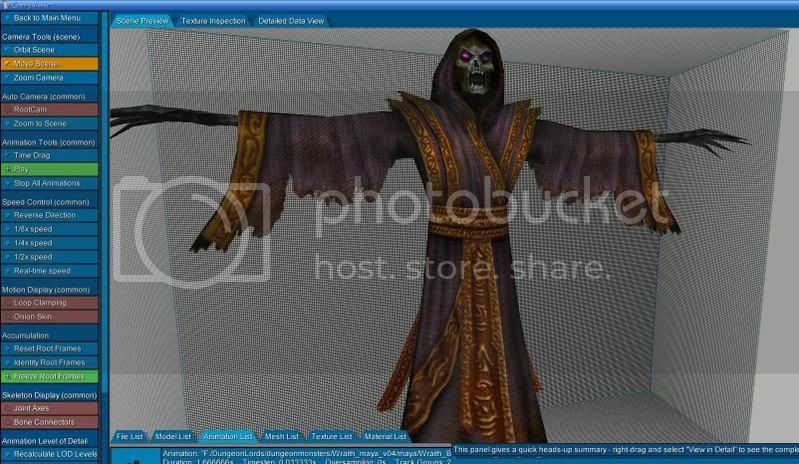 author: Warren Paint & Color Co.
3D Models and Skeletons viewer. Game cheating software, but it is good in-memory hex editor with system of filters. Nice and easy editor for .dll edits and icon swaping. Spreadsheet for calculating creature power. More info here. An excellent list! Very useful for beginner modders. then I used compression mode:fastest and wow the file size now 347kB. Edited by Gnoll_Mage at 13:26, 10 Jan 2008. 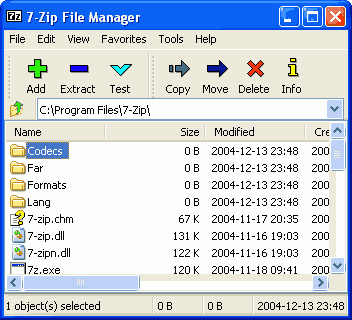 The compression ratio of the zip does not affect the quality of the files inside it. Zipping is lossless i.e. it preserves all the data. The process whereby it does this but still makes the files smaller is quite interesting. The game unzips the resources in memory so that it can use them (I would assume) - the compression ratio would make this step slightly slower, but that ought to be all. about the granny viewer, what exactly does it view? geometries? Edited by VokialBG at 22:07, 13 Jan 2008. Edited by Gnoll_Mage at 23:41, 13 Jan 2008. Yes, Granny can view skeletons and animations for those skeletons too. As said in Vokial's link, in the skeleton menu you can press "Show joins" or something, "Show joint names", "Show bone connectors" etc.. Because Nival use their own format for geometries and aigeometries, the viewer doesn't read them. To remind people, if you want to view geometries you need the mesh2wrl program (link?). However, only skeleton viewing is actually useful really. Nival is retarted. first, they mix up the DDS files so it's impossible to find anything, then, they make effects soooooo complicated, and now, they use their own file format for geometries. that's smart. They really made it hard for modders to have fun. It just takes a trained mole to find all the files, and I consider myself a pretty good finder. But, I agree Nival is starting to get...stingy. 1. WHICH programs do we use to create creature models. make animation sequences? ... or anything neccessary to "shape" new units, buildings, and settlements? 3D studo max? or else? 2. How do i add new units, city, and factions? gimme links if it's gonna be long long long. That's the problem... you can't. Even if you do create a .ma file (models / animations) you can't put it into the game, there's a converter or something you need which only Nival possesses. And NIVAL didn't release it as yet? yeah, Nival made their own format for the geometries, which is really gay. but about animations, there is a tutorial on making them, take a look in the QP awarded threads in Modders Workshop. and there is a New Creatures framework which allows you to add 130 more creatures. just browse through the forum, it won't be very far away. hope that helped. Edited by Gnoll_Mage at 00:17, 16 Jan 2008. I don't think we can make new animations can we? Edit: Actually I take that back. We can add new animations and skeletons into the game. But that's not a lot of use. Don't forget, Ubisoft is talking to Nival about the possibility of adding in completely new creatures. Well, so they say anyway. are you saying they are going to make yet another addon? Heh, doubt that very much. Which is why I doubt that they will formalise addition of new creatures to the game, because it would mean releasing a whole new exe and stuff, which they won't do imho. yeah, but they might aswell make it downloadable. the file would be too big tho. it would still be small compared to some of the downloadable MMORPGs on the web tho. i still don't understand what creature framework is? putting components of A creature with B and C and D creatures to create E creatures?